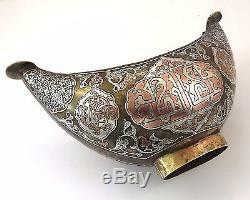 Dimensions: length 245mm, width 105mm, height 140mm. 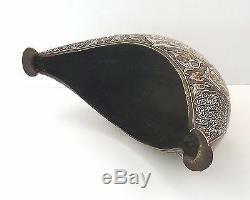 Libatoire shape shuttle cup with rounded belly with two oval shaped spouts. 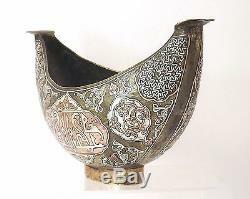 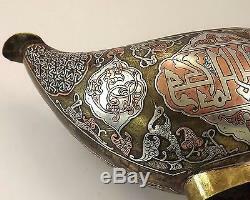 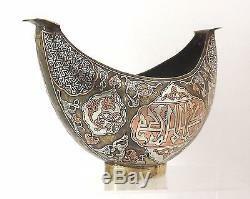 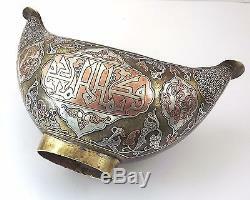 Damascene decor of silver and copper copper of Arabic calligraphic characters, birds and arabesques. 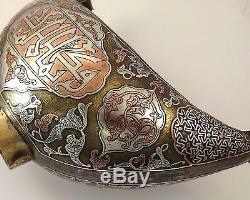 In perfect condition, (see photos). 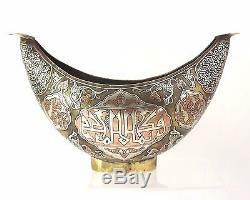 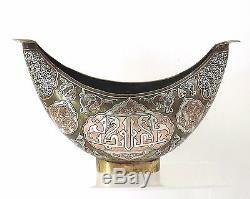 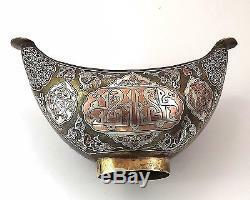 The item "libation cup damascene brass silver art ottoman syria persian turkey xix °" is on sale since Monday, May 7, 2018. 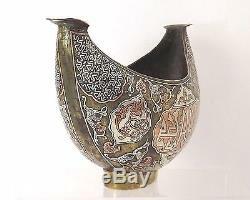 It is in the category "art, antiques \ objects of the nineteenth and before". 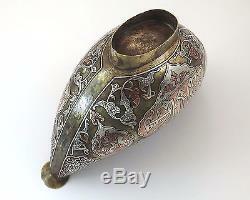 The seller is "macaira8" and is located in / in sorède.